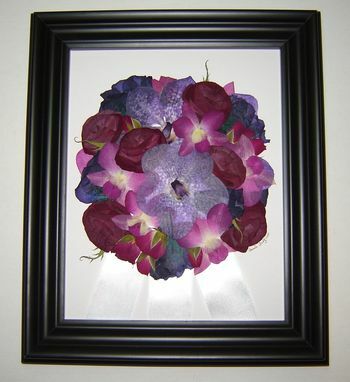 This Pressed Flower Art is Made from a Bridal Bouquet! Several different Orchids, Lizianthus and Roses make up this beautiful bouquet and the ribbon from the stems was included! 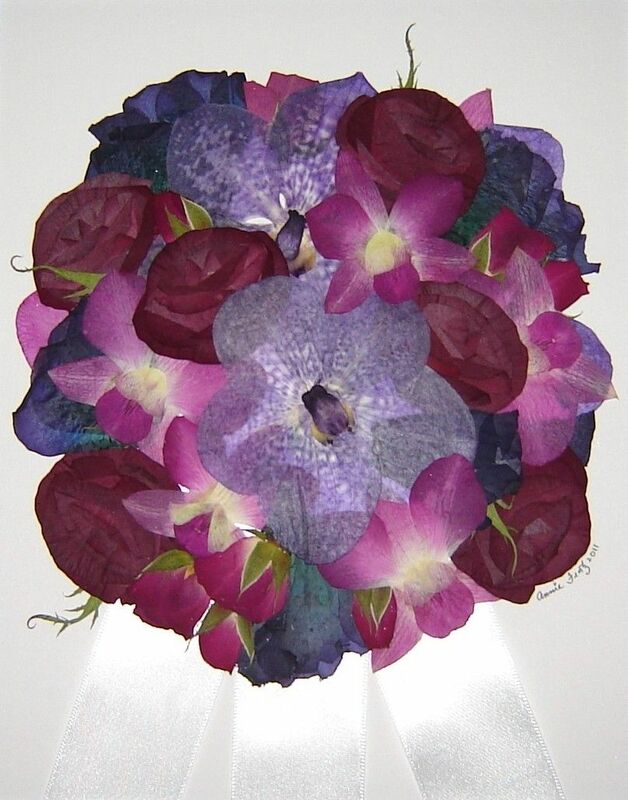 The flowers are pressed, dried and then creatively arranged according to the brides wishes! Then the art is vacuum sealed and professionally framed! 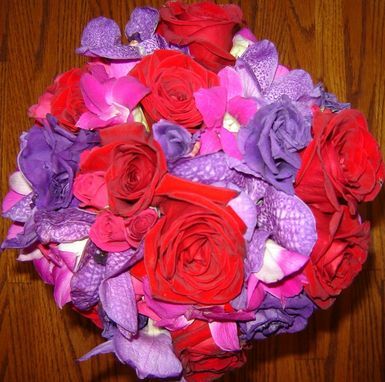 Now the bridal bouquet is an heirloom!